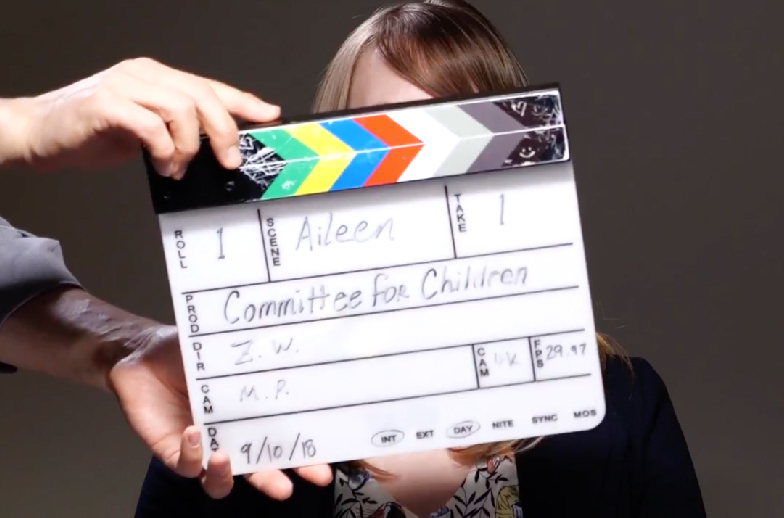 At Committee for Children, we know bullying is a serious issue in and out of schools and a threat to children’s safety. But there’s something you—and all of us—can do to help stop it. That’s why . . . we’ve teamed up with Captain Compassion! 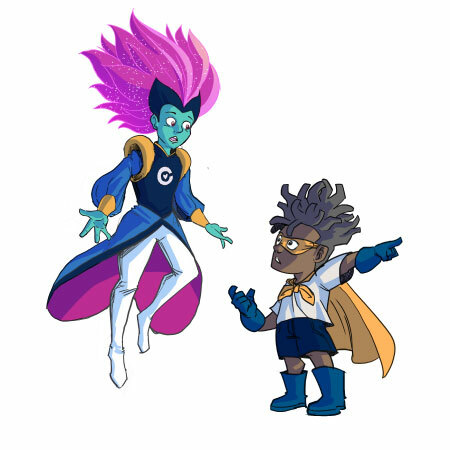 Watch Disney Channel star Skai Jackson introduce Captain Compassion! 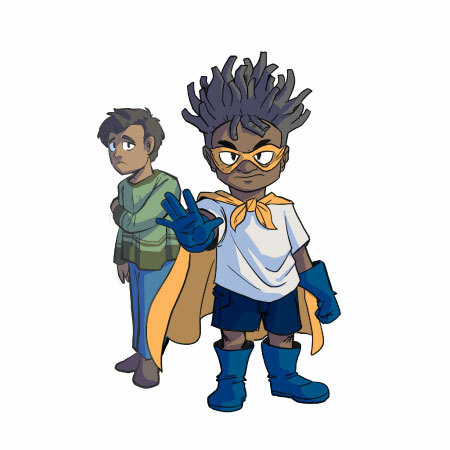 She’s a bullying prevention superhero who teaches parents, kids, and her trusty sidekick Kid Kinder how to use their bystander power to help stop bullying. 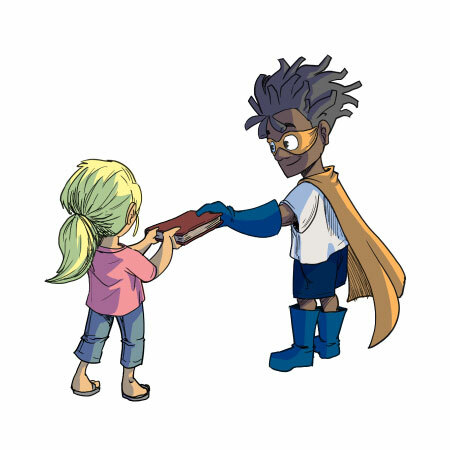 Take the Pledge and Unlock the Vault of Kindness to get your FUN and FREE bystander gear. 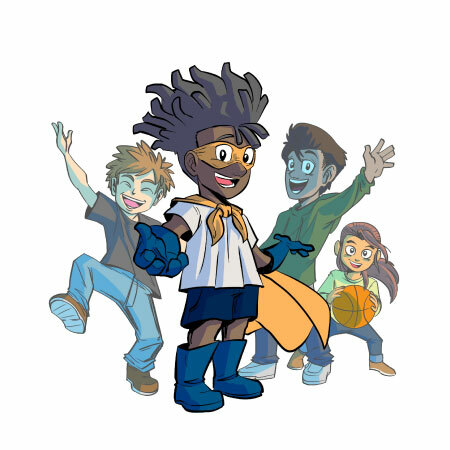 Thanks for taking the pledge to help stop bullying! You’re on your way to making the world a kinder place. 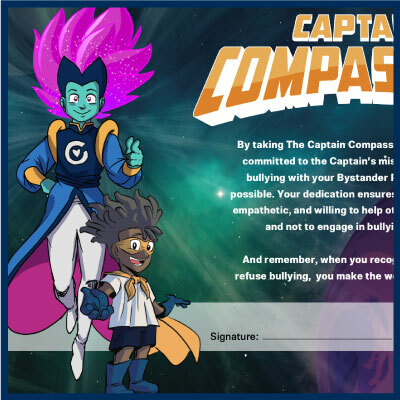 With your downloadable Captain Compassion swag, you’ll have fun reminders about the lessons you’ve learned about Bystander Power and how to help stop bullying. 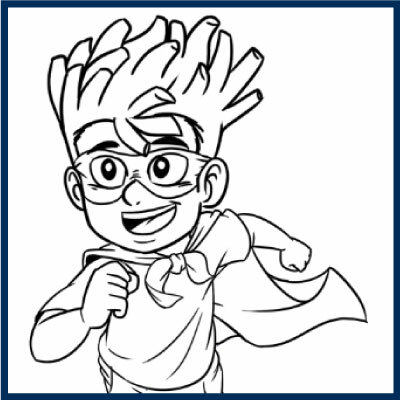 Be sure to visit CaptainCompassion.org each week of October to see new Captain Compassion comics that not only demonstrate ways to recognize, report, and respond to bullying, but are filled with secret clues for you to unlock! 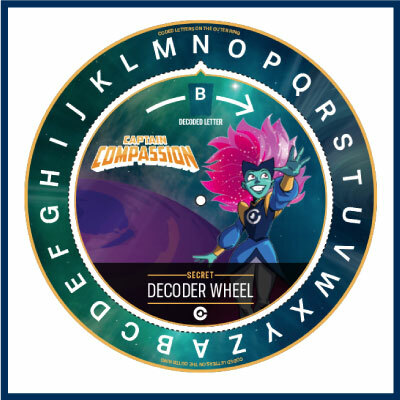 This easy-to-assemble tool helps you decode weekly clues from Captain Compassion that culminate into a message just for you! 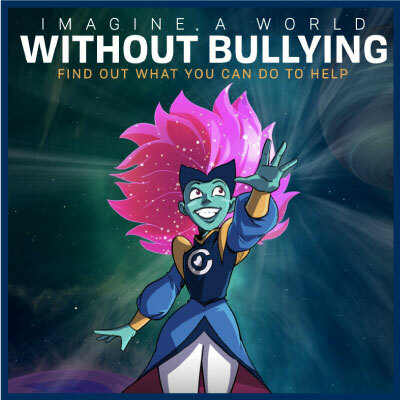 Now that you’ve taken The Pledge to join Captain Compassion in her mission to help stop bullying, you deserve an official certificate to commemorate your commitment. 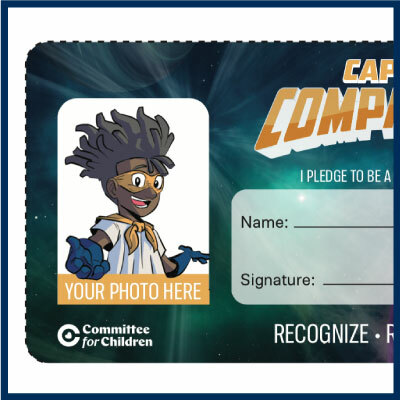 Every member of Captain Compassion’s crew gets their own membership card. 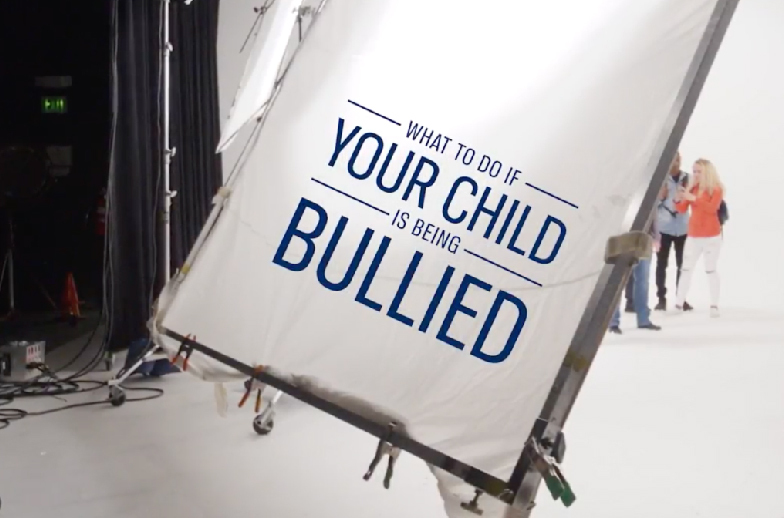 Carry it with you and share with friends and family to show your commitment to help stop bullying. Who doesn’t love coloring?! Download and share these pages with your friends and classmates, then use your imagination to make them really rad! 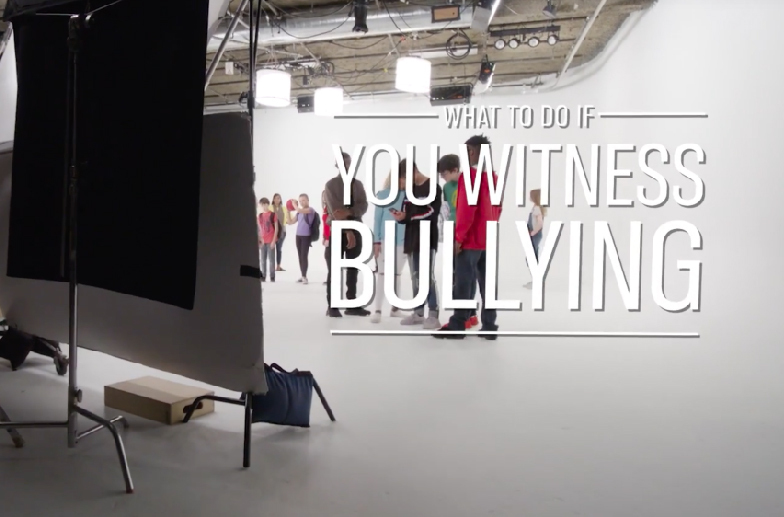 Studies show bystanders are the largest group affected by bullying—70% to 90% of students say they witness bullying at school regularly. 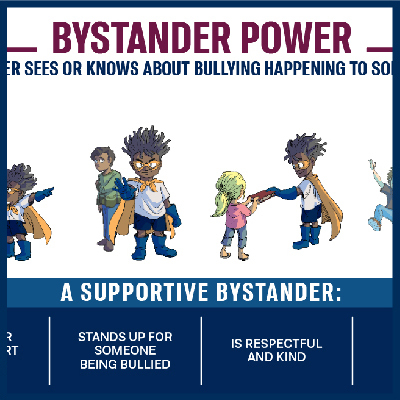 But that doesn’t mean bystanders are just passive observers of bullying—they have the power to defuse bullying situations, support their peers, and help create a positive environment where kindness kindness and respect are the norms. Studies show bystanders are the largest group affected by bullying—70% to 90% of students say they witness bullying at school regularly. 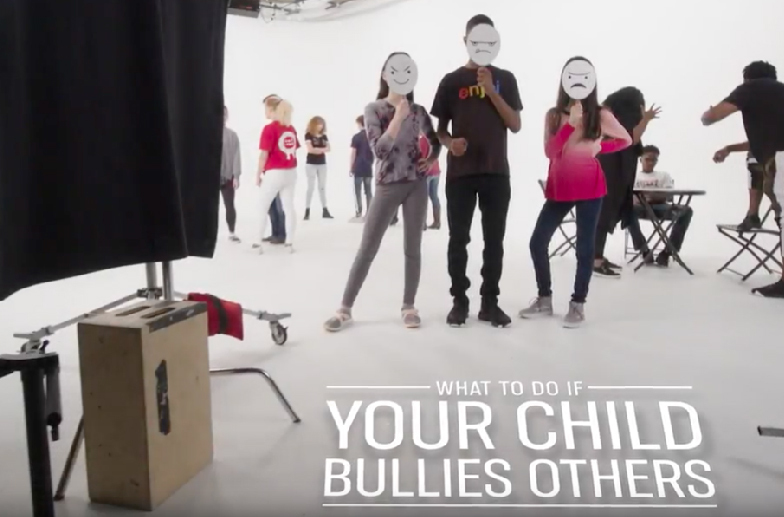 But that doesn’t mean bystanders are just passive observers of bullying—they have the POWER to defuse bullying situations, SUPPORT their peers, and HELP create a positive environment where KINDNESS and RESPECT are the norms.